Quick and easy macaroni and cheese using only 3 ingredients. 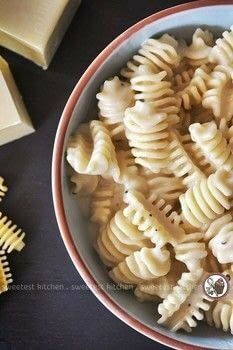 This pasta is so simple and requires only 3 ingredients. Feel free to use any type of cheese you like, or even a mix. My favorite is a Mexican blend. For something a bit more, toss in some broccoli or peas in the last few minutes of cooking time, stir in some cooked bacon while the cheese is melting, or add a touch of sriracha for some spiciness.